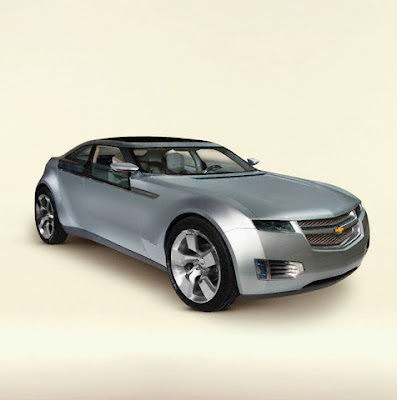 The Chevrolet Volt Concept is a highly advanced, plug-in electric hybrid. However, the 1.0-liter, three-cylinder turbocharged motor never powers the wheels directly. Instead, the Volt uses the combustion engine, which runs at a constant speed to maximize efficiency, to generate electricity to power the electric motor and charge the lithium-ion battery. The end result is the ability to travel 60 miles on just 0.4 gallons of gas, averaging an astonishing 150 mpg.